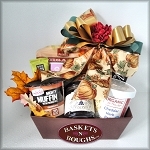 • gourmet corporate gift basket, full of sausage, cheese, and snacks as well as products made here in Ohio! 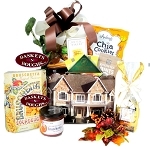 A themed hang tag is included with the gift to enclose the sender's message. Add your message in the comment area during checkout.